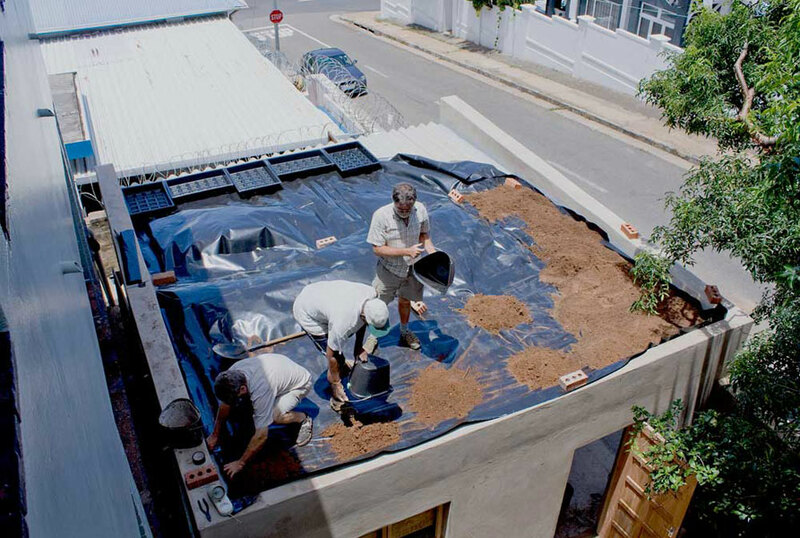 - The roof is visible to municipal staff and public visiting the city engineer’s buildings. 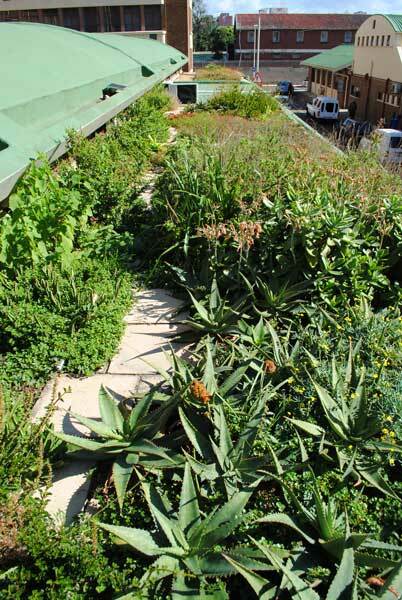 - Before application of the Green Roof Design to the roof, the structural load capacity was estimated at 100kg/m2. 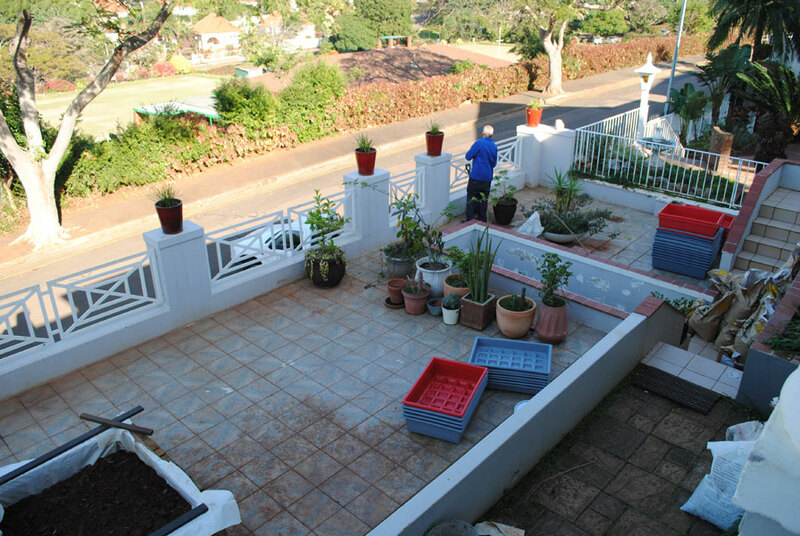 The existing waterproofing was checked and repaired where deemed necessary. 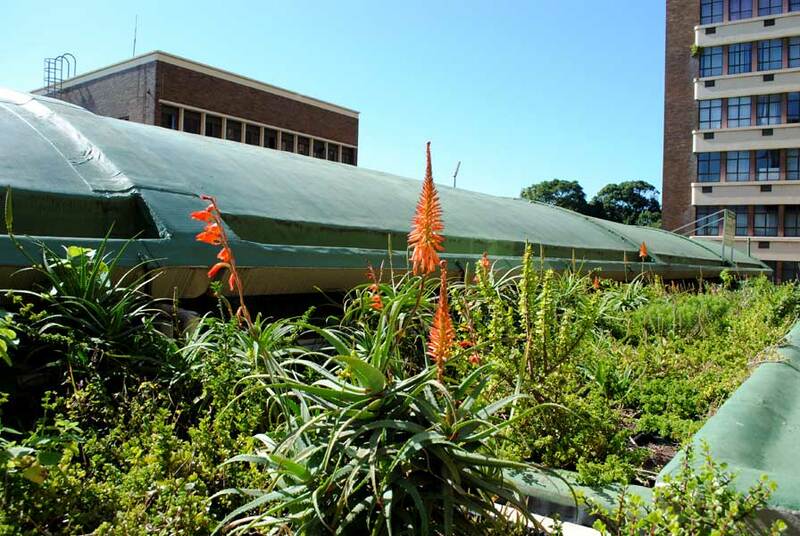 Both the Modular and Direct Green Roof applications were installed. 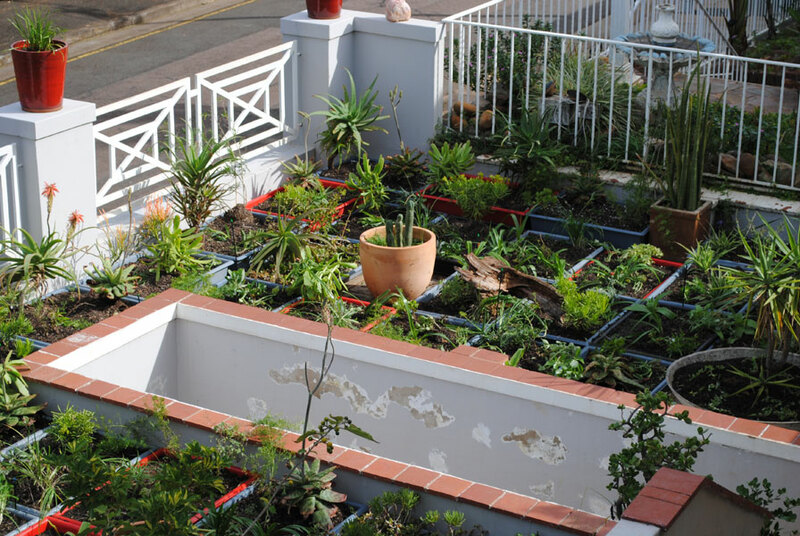 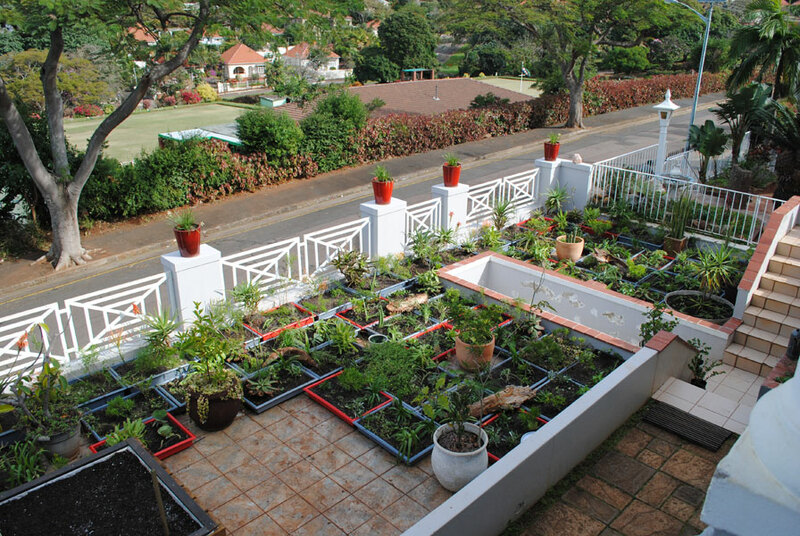 Five areas were planted using modules / containers and three areas using direct application with varied depths. 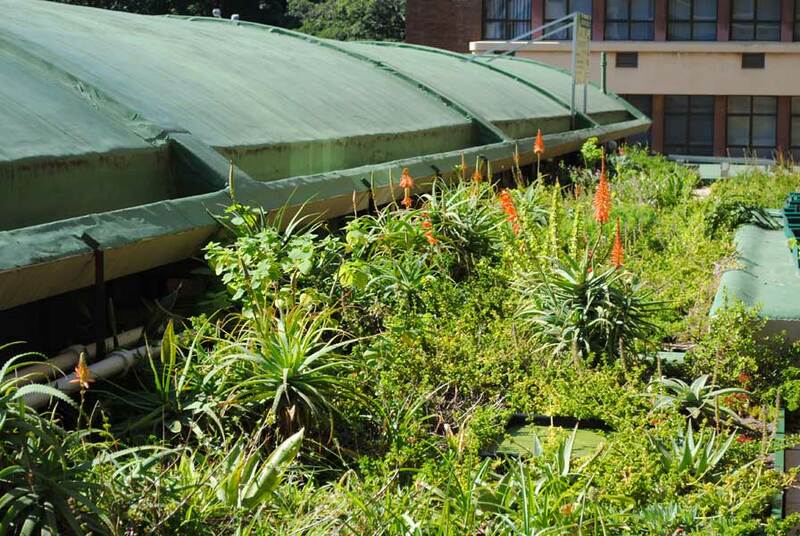 The first test site for the green roof modular system application. 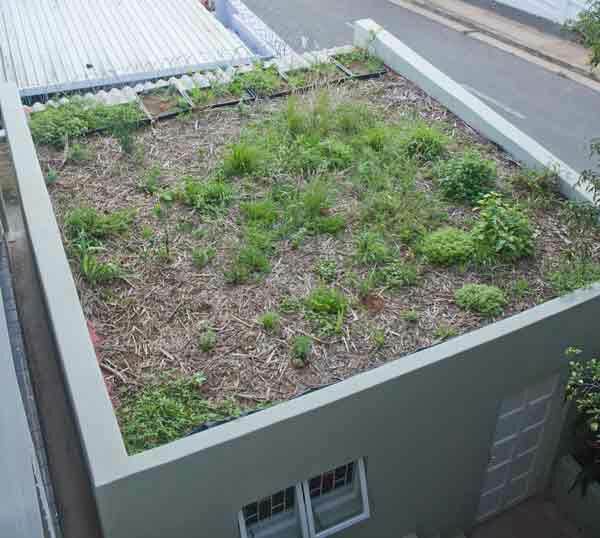 Was used as a testing sight for a small direct green roof on a corrugated asbestos roof. 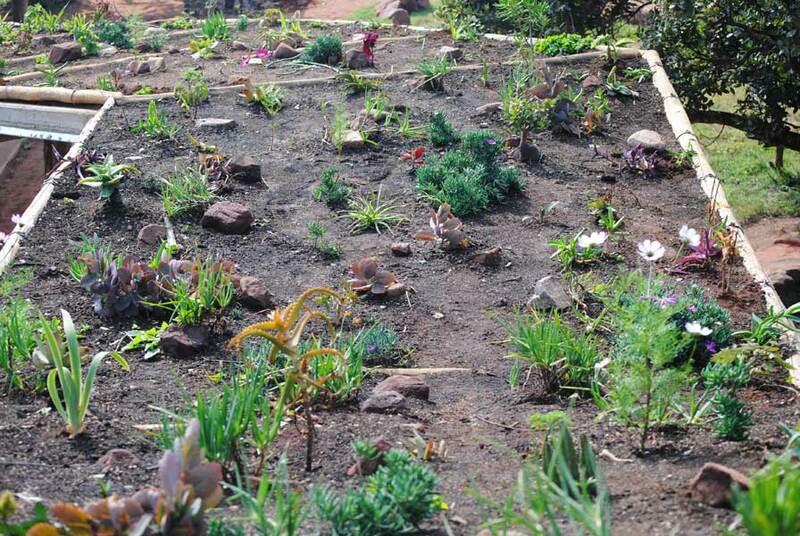 The necessary layers were applied and finished off with totally indigenous grasses, shrubs and ground covers. 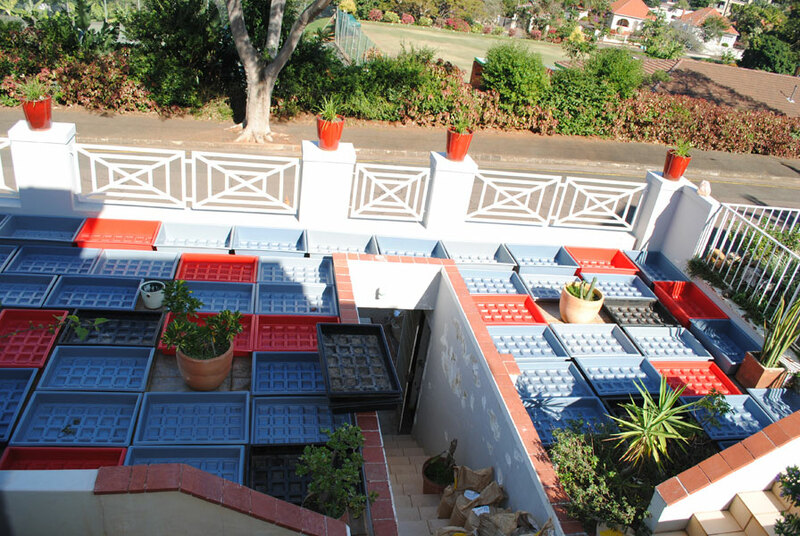 Modular systems were installed on the existing flat roof. 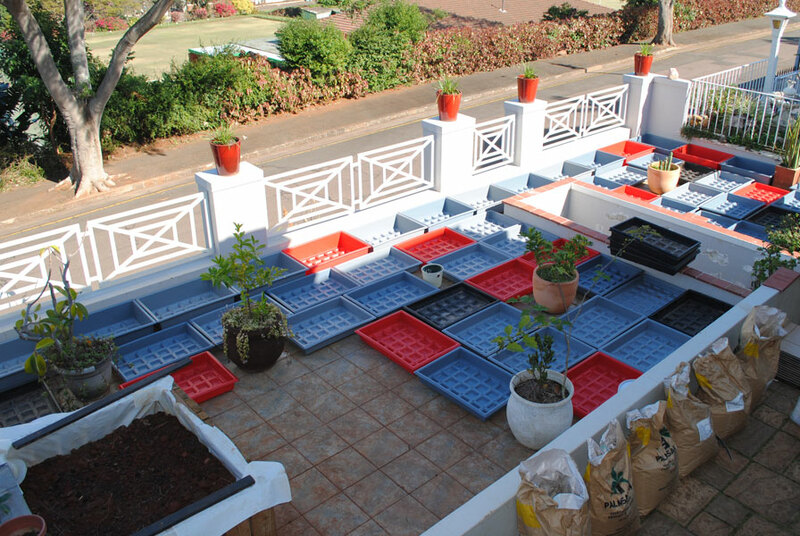 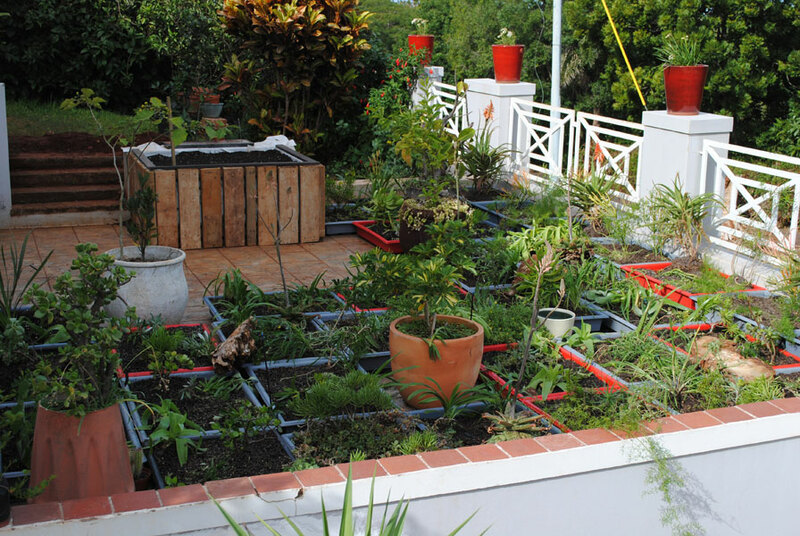 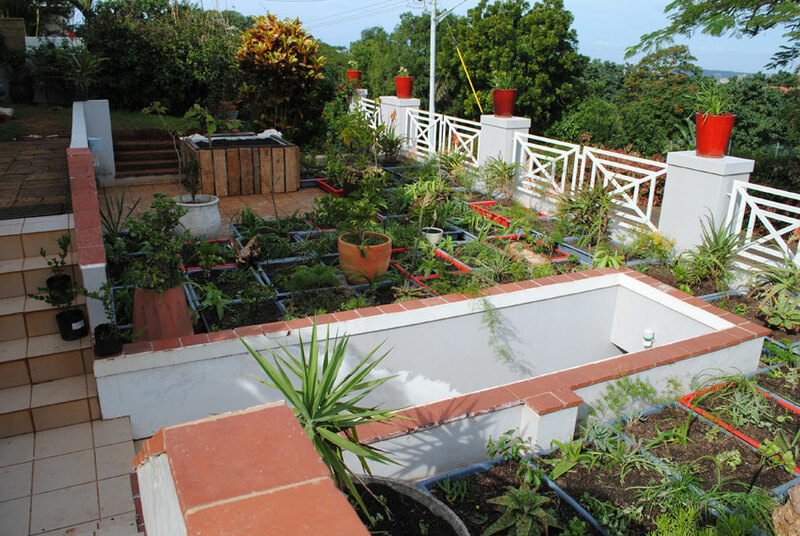 2 types of modules were used a wooden modules as well as HDPE custom designed trays for green roof installations. 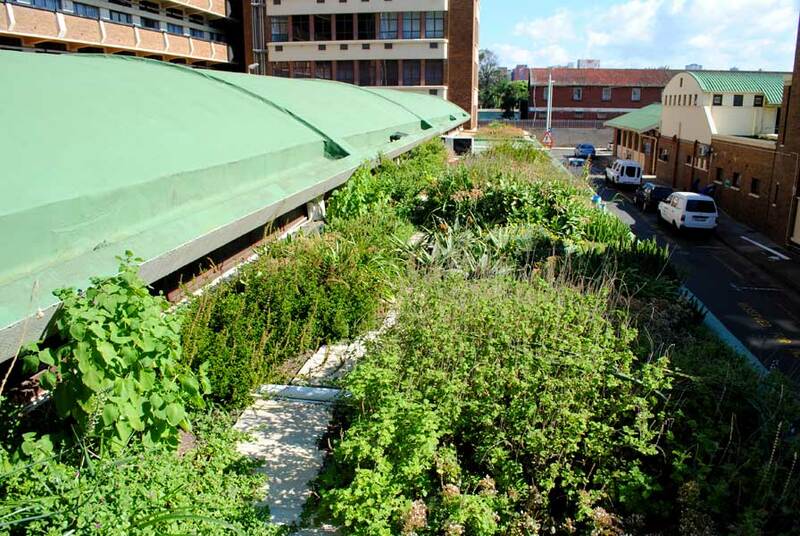 Vele High School is a rural school located in a mountainous region of the Vhembe District in the Limpopo Province. 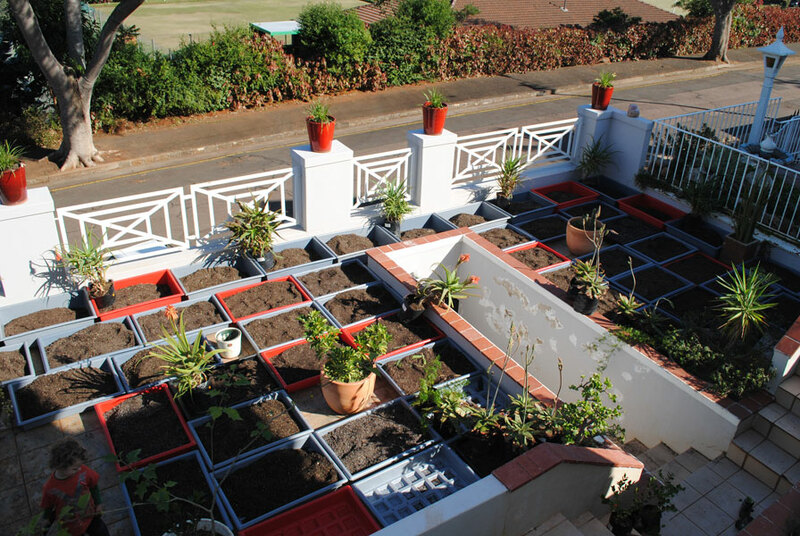 This Design Proposal for Vele High School forms part of the Creating Learning Spaces Programme initiated by Oprah's Angel Network (OAN). 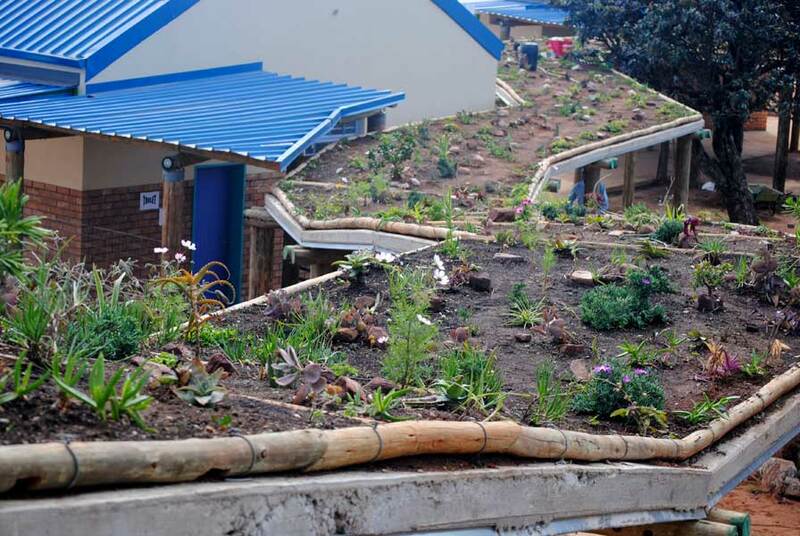 Direct green roof systems were installed on 4 buildings and a covered walkway, 95% of plants used occur within 50km of the school. 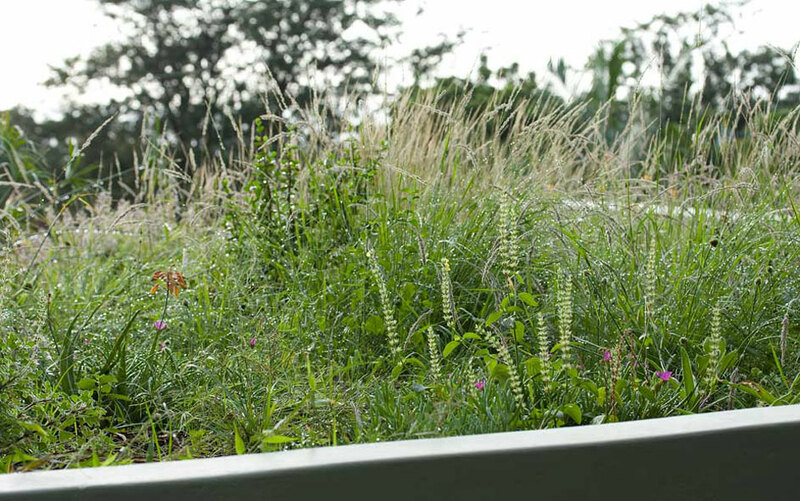 A modular green roof system with color coded modules to clients specs. 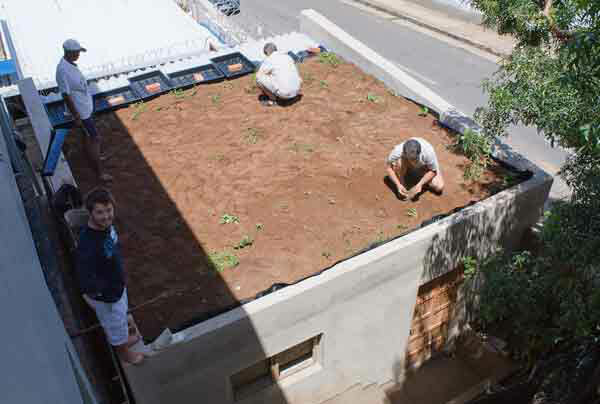 Area: ± 38sqm, Residential.